The brief for my newest commission piece was to paint a landscape, at the Park that was based on a photo Lady sent me. She also mentioned maybe at sunset so I decided to paint two for her to choose from and she has confirmed this morning she would like both. So these two pieces of Miniature art will be off to the United States this week. 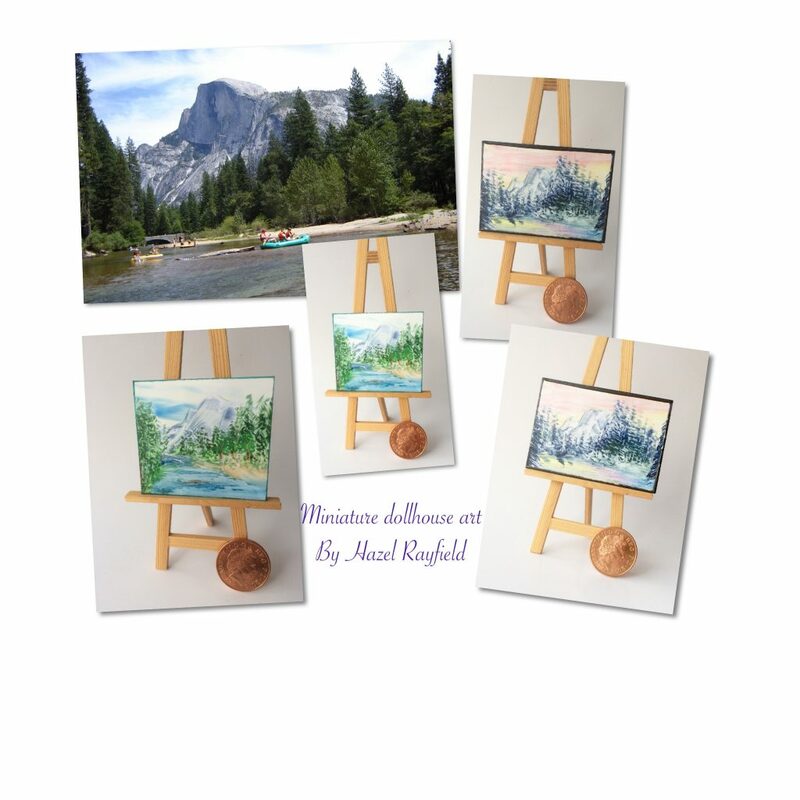 These are dollhouse size paintings at 2 x 2 1/4 inches and 2 x 2 3/4 inches but this lady, who has bought my art in the past is a miniature collector and these pieces will go into her miniature collection. 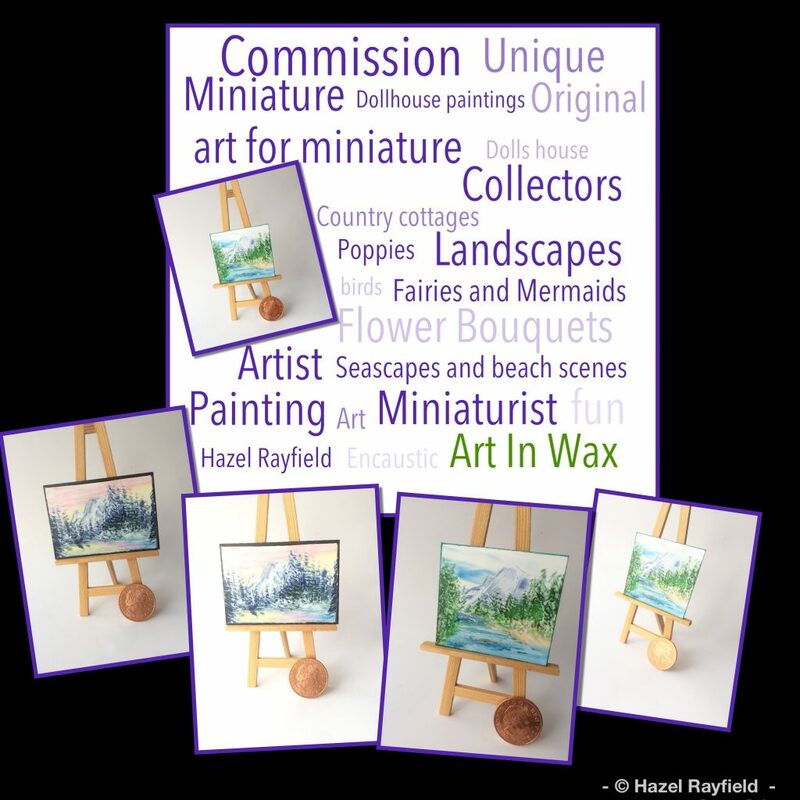 Why not commission a piece of my art for your dollhouse or miniature collection ? If you would like a special picture, painted just for your doll house or art collection, in my style naturally, all my Art In Wax is original art, I don’t do copies / reproductions. Contact me by commenting and / or messaging me to discuss your request.